In addition to a substantial financial burden that national health-care budgets can ill afford, AMR has economic consequences far beyond the health sector, such as damaging repercussions on international travel and trade resulting from the cross-border spread of resistant infections. The cost of not acting against AMR needs to be considered when deciding resource allocation and assessing interventions. 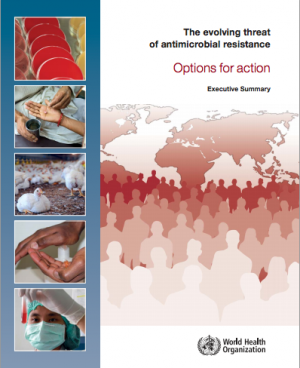 The evolving threat of antimicrobial resistance - Options for action describes examples of policy activities that have addressed antimicrobial resistance in different parts of the world, with the aim of raising awareness and in particular to stimulate further co-ordinated efforts.